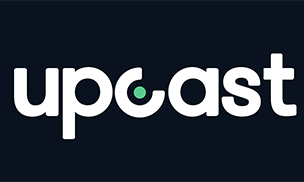 London-based Upcast Social, a Facebook Preferred Marketing Developer, continues to expand its presence now with a new office in Germany. With leading agencies and brands across verticals as customers in more than 60 countries, Upcast has a strong market presence in EMEA and APAC is now being expanded by a dedicated team in the German-speaking countries. The company provides the tools to create, manage, and optimize large scale Facebook ad campaigns for global media agencies networks. Its technology integrates seamlessly with Facebook to allow full visibility of ad campaign performance and budgets to achieve a dramatic improvement in ROI. With a rapidly growing investment in online advertising, advertisers seek new ways to reach customers in a more precise and efficient manner. The growing importance of social ads, having the potential to reach over 25 million users in Germany on Facebook, is therefore a great opportunity for brands to capitalize on. We are confident that our extensive experience working with international media agencies, Facebook and Twitter as well as major brands enables us to respond with agility to the needs of German marketers. We look forward to helping agencies and brands use the powerful features now available from social ads to grow their businesses and drive efficiencies.